Are you feeling overwhelmed by all the information you come across as you try to figure out how to go about aged care services? A nursing home consultant will help you make sense of it all. It’s always a good idea to consider working with nursing home consultants right off the bat. They can give you the help and advice you need to make the right financial choices for you and your loved one. It’s easy to feel stressed about making financial decisions at a time like this, especially when it’s urgent. You don’t have to deal with it alone. Let an expert handle the difficult aspects, while you concentrate on making the transition smooth. Why Work with Nursing Consultants? Moving a family member to a nursing home is an emotional time. Trying to find the right information to help you make the best financial choice by yourself, can make it even more stressful. Knowing all the nursing home options available to you, will help make it easy for you to make the right financial choices. But don’t overwhelm yourself with the Do-It-Yourself approach. Talk to nursing care consultants as soon as you make the decision to start looking for a suitable home. A specialised nursing home financial adviser can help you understand all the fees involved with home care and assist in minimising nursing home fees where possible. This way you will not end up paying more than you should. They will also look into how you can maximise Centrelink payments and how your parents can take advantage of various other benefits they are entitled to. If you’re worried about how you’re going to pay for care – aged care advisers can help you come up with the best payment options as well. They will also advise you on whether you need to sell your assets, such as your home, to pay for aged care. Working with a nursing home consultant will help you manage your family assets, expenses and estates to ensure your wealth is preserved where possible. You don’t always have to sell your assets to get the best aged care services. Getting advice from professional nursing home consultants will definitely ease the pressure and give you much needed peace of mind. At Core Value we understand how stressful and confusing things can be at time like this. This is why we step in and try to ease the load for you as much as possible. 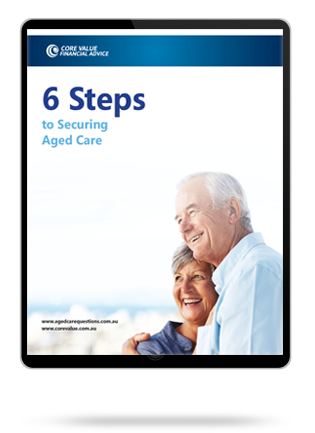 We will help you determine what your aged care options are and then provide you with several payment options. We will also assess your individual financial situation and advise on strategies to structure your finances for nursing care without having to overburden yourself or your loved ones. Our mission is to help our clients minimise their fees and maximise their benefits. On average, we help our client’s save $5,000 per year. Our expert team of specialised aged care and nursing home advisers will guide you through the entire process and answer all of your questions and concerns. For nursing home consultants in Sydney? For nursing home consultants in Melbourne? For nursing home consultants on the Gold Coast?